Hilados Benisaidó offers threads obtained from Polypropylene’s fibers. The count of Polypropylene’s yarns as the number of ends, will depend on the specifications of the customers. Kermel/Hilados Benisaidó offers a wide scale of colors and numeration in his threads.Eigt colours are available, with the possibility of offering other colors to our customers according to demand. Hilados Benisaidó offers threads of high benefits from different mixtures of synthetic fibers with Bekinox. 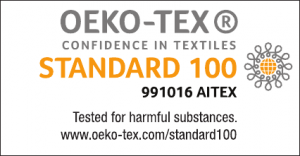 The yarn count of the obtained threads, the percentage of Bekinox in the composition and number of ends, will depend on the specifications of the customer. Hilados Benisaidó offers threads obtained from fibers of Polyester FR. The yarn count of the polyester yarns FR, the composition and the number of ends, will depend on the specifications of the client. Hilados Benisaidó offers threads obtained from fibers of VISCOSE FR, normalemte accompanied of other matters depending on the final application of the weaved product. The yarn count of the threads of VISCOSE FR as the number of ends will depend on the specifications of the customers. Hilados Benisaidó offers threads obtained from fibers of Polyamida 6. Polyamida’s threads are excellent due to its high mechanical resistance, good resistance to the fatigue, good properties of slide and excellent resistance to the wear .This yarns are used in the manufacture of the painting rollers. Hilados Benisaidó offers Kanecaron threads, the count yarn will depend on the specifications of the customer under technical conditions. Hilados Benisaidó offers yarns obtained from Acrylic fibers and their blends, being Dralon ® the most used fiber. The title of the Acrylic threads, as well as the number of ends, will depend on the specifications of the client.